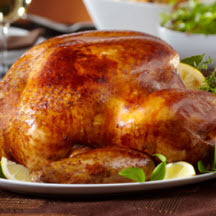 CooksRecipes has quality, kitchen-tested recipes for whole roasted, deep-fried and grilled turkey dishes that you can count on for successful deliciousness. 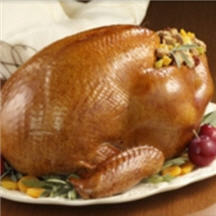 For a spectacular holiday entrée, try this whole roasted turkey basted with a buttery citrus and rosé wine glaze. 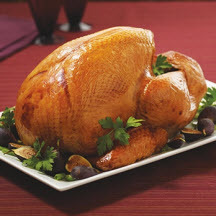 Expect to wow your family and guests with the extraordinary, mouthwatering flavor of this marinated, whole roasted turkey. Brined first in a sweet and spicy mixture of brown sugar, Dijon mustard and cayenne pepper, then deep fried to mouthwatering deliciousness.